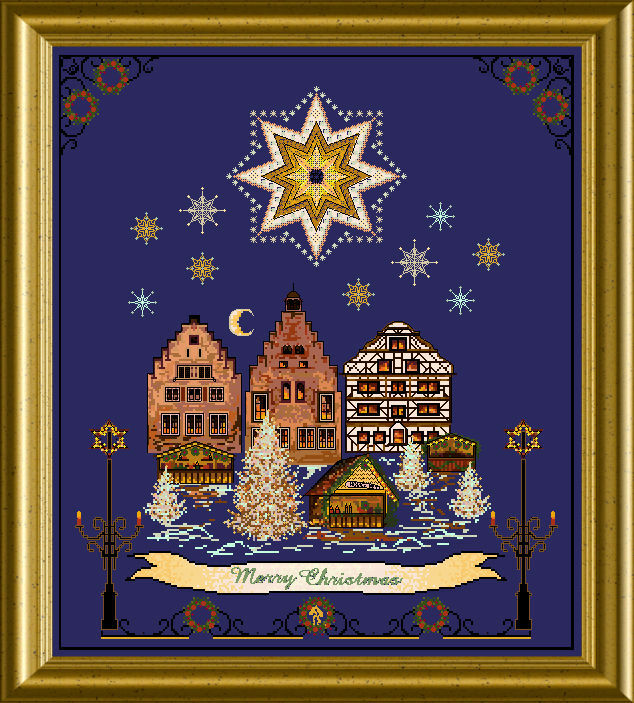 This design keeps all the magic of an Old-World Christmas town – the lights, the stands with toys and yummy specialities – the brightly lit Christmas Tree…. You will use a variety of threads, silks, metallics and of course beads and crystals to give that special Xmas-touch all over ! 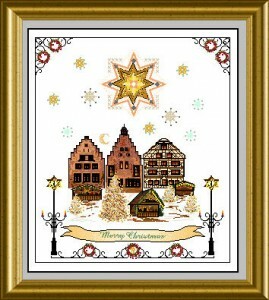 Besides cross-stitches you will use well-explained Special Stitches, to highlight the design and give dimension. With a size of 257 x 297 stitches it is a medium sized design to stitch…. You receive a chart with “Merry Christmas” in diverse languages so you can personalize this sampler easily.